In a Fearless Dragon Writers' Workshop, the adventure is only as limited as our imaginations! Come join us for 6 weeks of writing fun -- from Tuesday, Jan. 29 until Tuesday, March 5. Location: All Saints' Church, 559 Park Ave., Scotch Plains. Each session highlights a different writing style, theme or concept using a popular children's book. Children write and share their own stories in a supportive setting. Playful sessions incorporate comic-book drawing, props, creativity, and humor--anything to spark writing! This workshop is designed for children ages 8 - 13, reluctant writers included! How much? $165.00 for the entire 6-week workshop. All materials included! 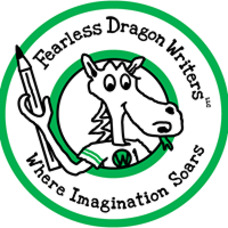 To register: Please contact Andrea Felcone at fearlessdragonwriters@gmail.com.